This article is intended to explain what to do if your backup is attempting to backup to the wrong drive letter because you have added other devices to your machine and your backup drive was reassigned to a new available letter by Windows. For example your backups are targeting "D:" and the drive was reassigned to "E:" by Windows. If you don't like the drive letter assigned to a disk, or if you've got a disk that doesn't yet have a drive letter, you can use Disk Management to change it. If you change the drive letter of a disk where Windows or apps are installed, apps might have trouble running or finding that disk. For this reason we suggest that you don't change the drive letter of a disk on which Windows or apps are installed. Here's how to change the drive letter (to instead to mount the disk in an empty folder so that it appears as just another folder, see Assign a mount point folder path to a drive). 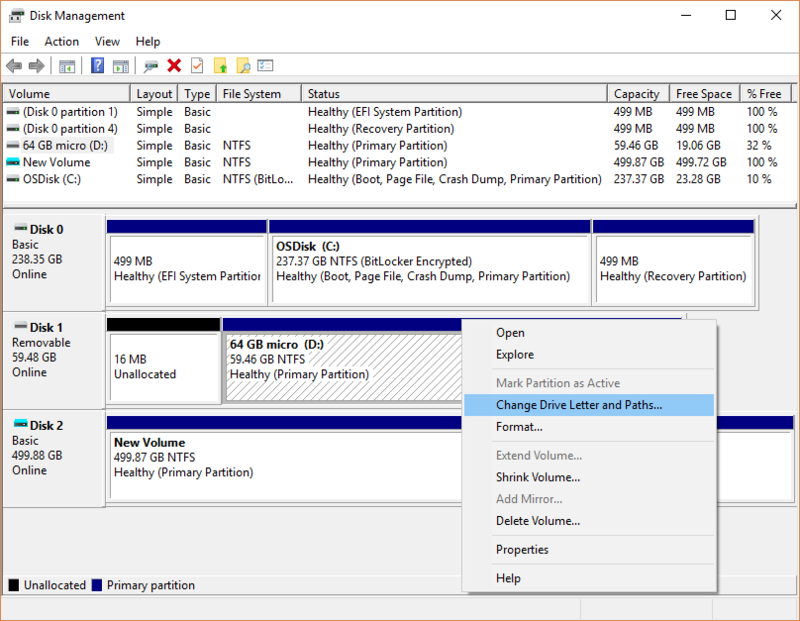 In Disk Management, right-click the disk for which you want to change or add a drive letter, and then select Change Drive Letter and Paths. 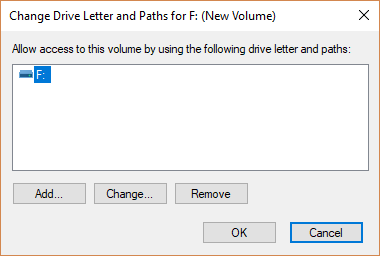 To change the drive letter, select Change. To add a drive letter if the disk doesn't already have one, select Add. 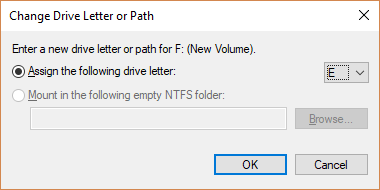 Select the new drive letter, select OK, and then select Yes when prompted about how programs that rely on the drive letter might not run correctly. If you are unwilling or unable to change the drive letter, you will need to reassign your backup jobs to target the new location by modifying the target storage location for each job. You can easily get to the settings for a scheduled backup job by right-clicking on the entry on the Schedule tab of the software and choosing Modify Job. Once you have changed the settings for a job, you will need to save the changes using the Save icon at the top left of the window. Please note that any jobs you have previously saved will not be able to be cleaned up using retention jobs and you will be unable to restore data from them until you re-import the backup on the restore tab.